PURELL™ Surface Disinfecting and Sanitizing products are our latest innovation and reflect the GOJO commitment to delivering exceptional well-being solutions for people, surfaces and our environment. 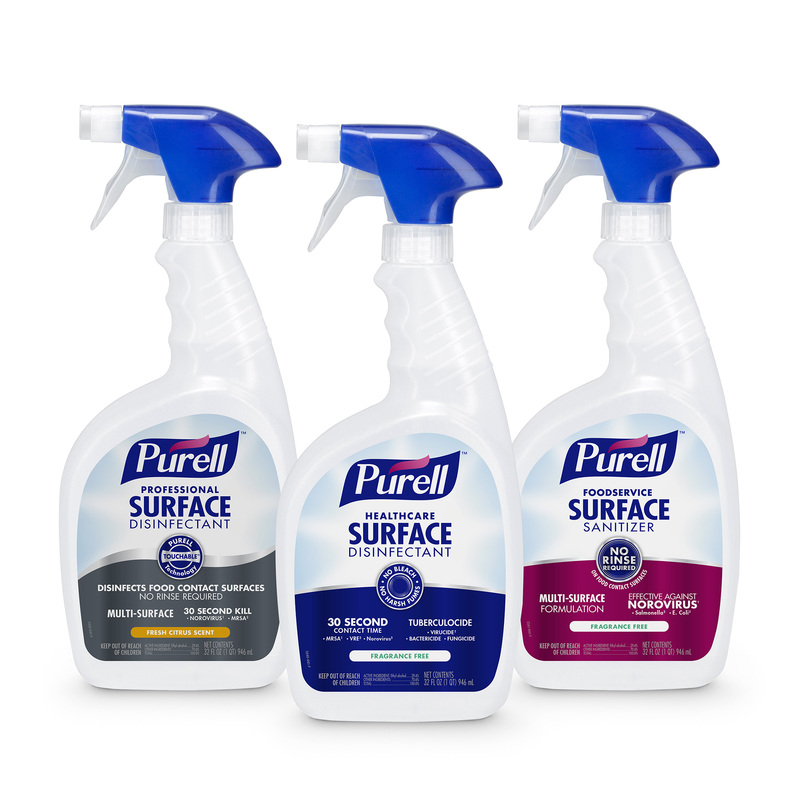 The PURELL™ brand, trusted by hospitals, schools and restaurants for decades, is introducing its new surface disinfecting and sanitizing sprays into the foodservice, healthcare and professional markets. Our disinfecting and sanitizing products have the EPA’s Design for the Environment (DfE) Certification, as well as the EPA’s lowest toxicity rating and kill bacteria and viruses in as little as 30 seconds. What makes them unique is that they have the fastest overall disinfection times for bacteria and viruses than any other DfE product. Our high standards for performance, people and planet are unmatched. The new PURELL™ Surface Spray products are available through GOJO distribution and online retailers. For where to buy information and to learn more, go to www.purellsurface.com.